You gain 54,999 points [?] Loyalty program points By purchasing products included in the loyalty program, you gain points, which then can be exchanged to other products available in the store or for a permanent discount. Only available to registered customers. 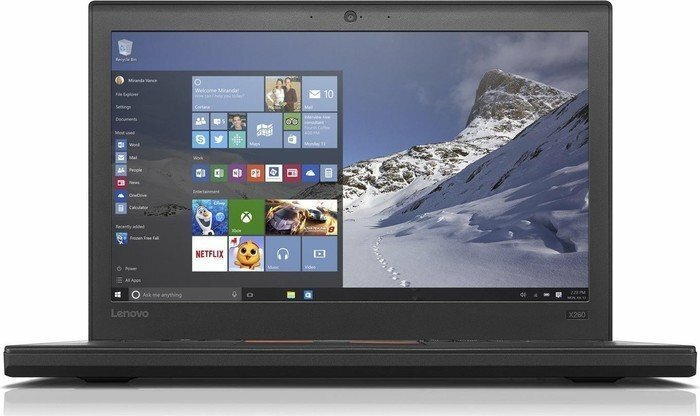 The Lenovo ThinkPad X260 laptop has the six qualities required of a good business device. It’s built to last, as evident by its MIL-spec rating; it’s light and portable enough for easy lugging; its hot-swappable battery outperforms similar devices; it has plenty of ports and inputs; it has the security features IT needs; and it has a comfortable keyboard. There’s no way that anyone taking into account what businesses need and want could not find the ThinkPad X260 a great buy. If I could describe the ThinkPad X260 in one word, that word would be freedom. Positive: Good autonomy; comfortable keyboard; lightweight. Negative: Average screen. In 2011, Medion AG, a European computer hardware manufacturer, owned the majority of the company. In 2014, Lenovo took over Motorola Mobility, which gave them a boost in the smartphone market.